Please join us for a screening of James Cruze’s 1936 film, Sutter’s Gold, selected by Valentin Carron. According to Art in America, this exhibition “expands on his idiosyncratic vision with an eclectic selection of off-modern works.” Extending the range of his curatorial debut, the screening of this film grants further insight into Carron’s perspective and influences. 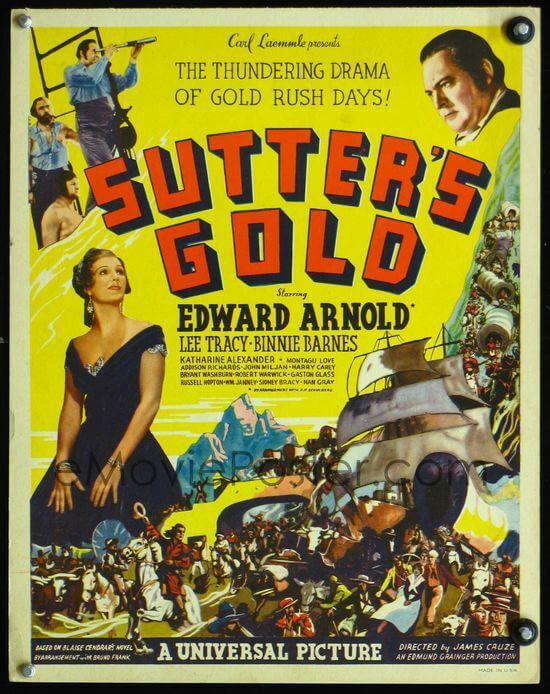 Based on the novel L’Or; la merveilleuse histoire du général Johann August Suter by Blaise Cendrars, Sutter’s Gold tells the story of the aftermath of the discovery of gold on Swiss adventurer John Sutter’s property, which spurred the California Gold Rush of 1849.